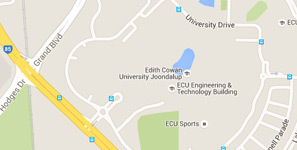 Welcome to research at Edith Cowan University. We have a vibrant research community at ECU and actively support our student and staff researchers. We also enjoy collaboration with other universities and continually seek opportunities to work with organisations and businesses to commercialise research outcomes. Research at ECU is growing strongly, led by successful strategies to develop a vibrant research culture. Browse research output from ECU staff, postgraduates and affiliated authors. The Search is ECU's biannual research publication, documenting highlights and insights across a diverse range of fields. From neuroscience to nanotechnology, and management to music, our talented researchers aim to deliver tangible outcomes to benefit communities, both locally and globally. For all the latest research news and quotable experts delivered to your inbox, sign up to our fortnightly newsletter. Discover how you can join ECU as a graduate researcher. Collaborate with ECU on the commercialisation of our research outcomes. Support our research initiatives through a donation to an ECU research project.